It's common now to note the slanted nature of memoir, to take any book purporting to contain the writer's life and wrap it in statements distancing it from truth. 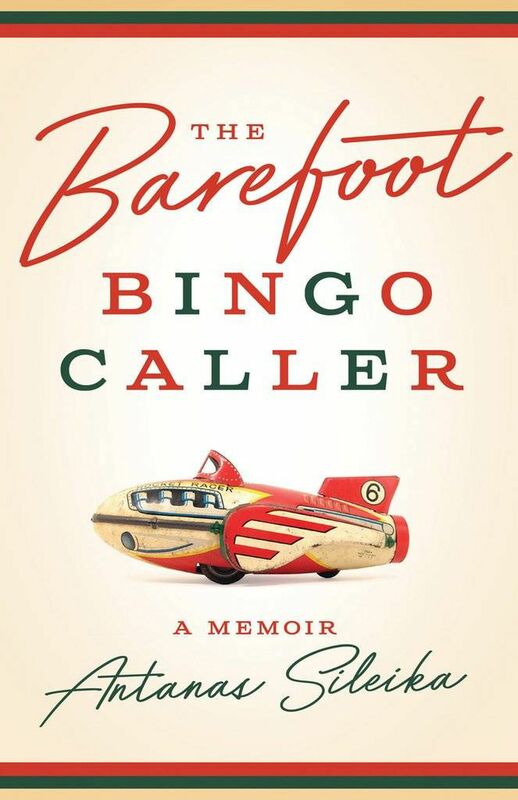 Antanas Sileika does no such thing in The Barefoot Bingo Caller but, as he admits in the afterward, he's not given to the memoir form, not inclined to the confessional mode and prefers writing novels. Now that he's been encouraged to write these stories from his life, he suspects he'll be accused of fiction. From growing up in Weston, Ont., (a former town now engulfed in Toronto's sprawl) in the 1950s and 60s, the son of Lithuanian immigrants; to Parisian literary life of the seventies and eighties; to a brief foray in international diplomacy at the end of the Cold War, Sileika, who in July retired from his long-time post as director of the Humber School for Writers, is first and foremost a storyteller. His memoir does not impart a strong sense of chronology; what it does do is leave the reader with vivid impressions of the writer's life, written largely in a wry, unsentimental style. A kind of truth. In a summer marked by unseasonal and extreme weather in many parts of the country, this collection may seem too real. Cli-fi is a relatively new sub-genre of speculative fiction imagining the long-term effects of climate change. Cli-Fi collects 17 widely varied stories that nevertheless share several themes. Water: In Rati Mehrotra's Children of the Sea, water is a source of both life and death – an opening to a grave and a chance at rebirth. Oil: Geoffrey W. Cole's Captured Carbon is a twist on our thirst for gasoline; meanwhile, in Peter Timmerman's Report on the Outbreaks, which takes place in 2060, a movement emerges to seek revenge on long-dead oil and gas executives. Conflict: Richard Van Camp's Lying in Bed Together develops his previous work on the Wheetago Wars. Wheetago/wendigo are zombie-like creatures that feed on human flesh; in Van Camp's telling, global warming releases the Wheetago from their capture beneath the ice. The story, like the rest of this collection, presents an urgent, imagined message from the future. Canadian indie presses publish several series of short books on pop culture: There's Invisible's Snare series, on contemporary Canadian musicians; Arsenal Pulp's more scholarly Queer Film Classics; and ECW's Pop Classics, which ranges over medium and genre. Jen Sookfong Lee's Gentlemen of the Shade, her critical appreciation of Gus Van Sant's 1991 film My Own Private Idaho, is the seventh Pop Classics title and among the best I've read among these series in making a case to a general reader for the pop artifact at hand. Lee invites the reader to share her experience of watching the film in its original context, as a straight adolescent girl finding something liberating in Van Sant's queer portrait of hustlers on the streets of Portland. If My Own Private Idaho seems quaint or conventional today, Lee argues, it's because the film's radical depiction of gender, sexuality and class instigated a new aesthetic category of the alternative. More than Gen X nostalgia, Lee is interested in how aesthetics influenced the choices of a generation. That should be of interest to us all.